I want a do-over of yesterday. I want to go back to yesterday morning when I was getting out of bed and I want to start the day over. Deal? It is unfortunate that I am writing this to you because of the change in stepping stones in Tessa’s life. Or is it a change? It seems that for now this is the path you have set out for her. I know you have your reasons for it all, but to be honest with you, none of them seem good enough right now. And trust me if I had a quarter for every time someone has said to me, “Everything happens for a reason,” Tessa’s piggy bank would be overflowing all the way to the bank. Every time I look at my girl, she appears happy and healthy and perfect. But inside she tells a different story…a story that you chose to write for her. I would have left the following out of the plot, but that’s just me. And if you really want to know the truth, I am pretty frustrated. I won’t even ask “why” because there will not be a direct answer. I am supposed to figure this out, right? I am supposed to find the positive take-away from her having Myelodysplastic Syndrome? Her doctors told us yesterday that she will likely need a bone marrow transplant in order to treat her…and that since this scenario is so rare, they need to seek the advice of other experts for guidance because a transplant for her is quite risky. I have tried to wrap my head the magnitude of what we learned yesterday. It’s like knowing we’ll be in a car accident, and not being able to do anything to avoid it…and then waiting for it to happen. In other words, I feel powerless. Throughout Tessa’s life I knew there would be obstacles. But her daddy and I never missed a beat…not once. Sometimes we pushed her hard, and other times we had to loosen the reigns. But now you’re asking me to let go of the reigns. You’re asking me to trust that everything will work out. I can admit that I haven’t been the most devout of Christians; but I always believed, and I prayed hard for her since her first day in this crazy world. I suppose the only thing Dan and I can do is wait. That is all we have been doing. We have been waiting for some sort of definite answer. Tom Petty said it best, even though his lyrics and our story are totally unrelated, the waiting is the hardest part. Hopefully all of this waiting means there is an answer that someone just hasn’t found yet. I spent a good part of yesterday cursing you out and blaming you for doing this. Even though I am pissed about it, I know I need to accept it. In retrospect, I’m glad I trusted the gut-feeling I had a few months ago that something wasn’t right with all of the bruising I was seeing on her little arms. I now know that it was you telling me to trust my intuition. This chapter that’s about to open up is terrifying. I am expecting to be angry and scared. I know Dan and I will be frustrated. We will second guess decisions and make mistakes. But I am guessing we will also meet heroes and make lifelong companions. We will learn lessons even if even the way they are learned is unpleasant. But I will do it all for her. Why didn’t you tell me that being a parent can sometimes be this scary? You may have designed this route, but you also made her willful and resilient. Therefore for the amount of heartache I have, there is also an equal or greater amount of hope. I am going to have faith that you will do what’s best for her. And even though I desperately want you to tell me why this is happening, I trust that someday I will come across it. Okay so I can’t have yesterday back. But I can still have tomorrow. 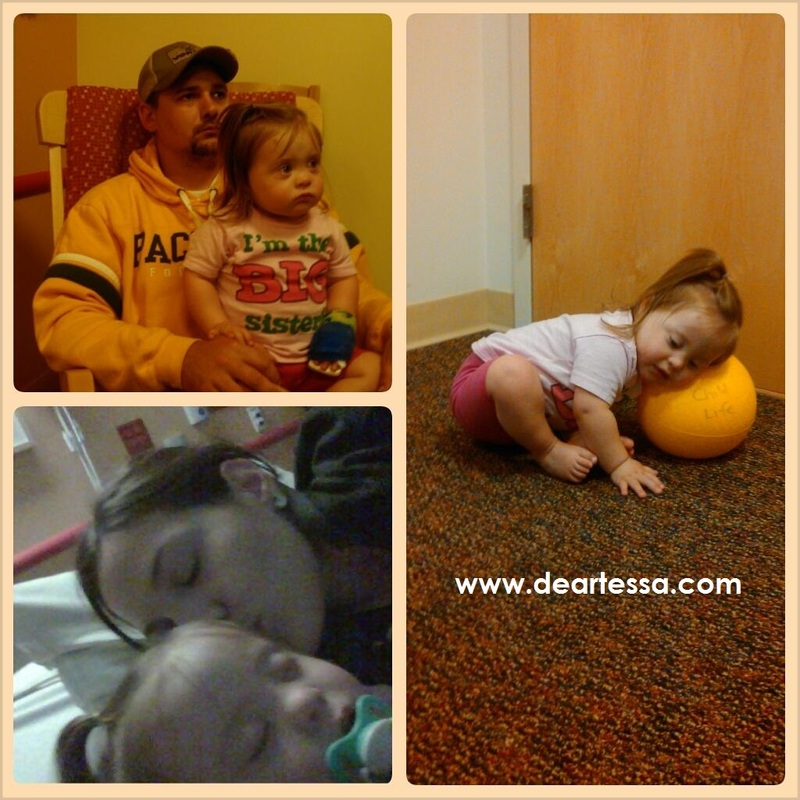 Tessa has recently been diagnosed with Myelodysplastic Syndrome (MDS), also known as pre-leukemia. Myelodysplastic syndrome is a rare bone marrow disease affecting the production and development of white blood cells, red blood cells, and platelets within the bone marrow. Each year there are usually only about 4 cases per million. 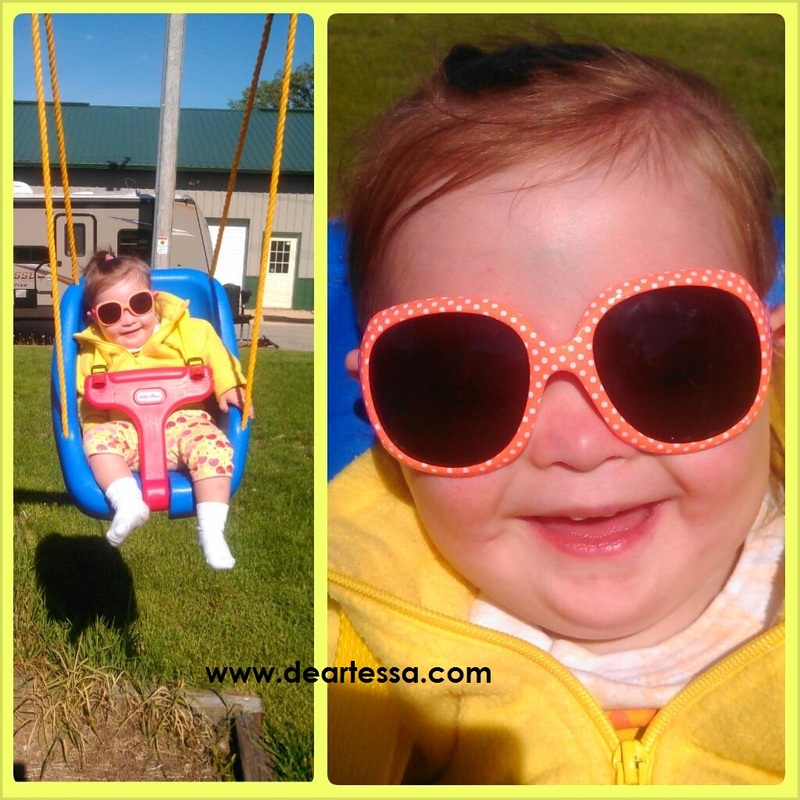 Tessa’s scenario is especially complicated and rare due to the growing and unusual activity within the Leukemia blast cells she already has, as well as having Down syndrome. While her team of specialists is unsure, we have been told that treatment for Tessa will most likely be a bone marrow transplant. To ensure that this is the best possible route, they are seeking the advice of experts across the country. Despite her diagnosis, Tessa is doing wonderful. She is still busy, active, and full of her silly charm. We are enjoying life together at home as a family, and we are especially thankful for everyone’s thoughts and prayers. Thank you Grace. Tessa and Grandpa Leo’s MDS were unrelated cases but given the rarity of MDS, it is so crazy to me that they both had/have it. Hugs and prayers being sent to you! I am so sorry you have to go through this. I read this with tears flowing down my face. Our son Alex is 10 years old and has had two open heart surgeries. I completely understand the feeling of wanting yesterday back! It is so hard to find out that your child has to go through anything, and even harder to give God that control (even though we really never had it in the first place). We are praying for your family and for Tessa. She is such a beautiful little girl! God does have a purpose and a plan, but I think he understands that we are only human and we can’t help but question when our children have to face something scary. Love and hugs from the Bowman family. Thank you so much! I love my girl, but lord is it hard to get over these medical hiccups along the way! Thank you for your prayers! My heart goes out to you .I walked a similar path, tho in my daughter’s case she had heart disease associated with DS. I don’t believe in god, so the best i can wish you is that all your doctors and nurses will be wonderful and skilled, and that you feel surrounded with love and support from family and friends at this enormously difficult time. Tessa is adorable…she reminds me of my late beloved Elizabeth when she was little. wow! What heart wrenching news…I will be praying for your little one and especially for you. Keep us updated. Hugs. I have a 5yr old with down syndrome too. He had open heart at 1.5 yrs old and that was the worst day of my life. I have never felt so helpless in my life as I did in that moment. I have a friend in our d/s organization that has a 3 yr old that was diagnosed with leukemia last year and she is doing great. I know when others say everything happens for a reason they mean well but I wanted to scream everytime I heard that. If I know anything I know that these lil ones with d/s are fighters and that will carry her and your whole family thru the difficult times. Stay strong even when you dont think you can anymore. You have a whole army praying for your lil girl!!! Thank you! She makes it easier on us with how little she lets it phase her. Having said that, when I think about the fact that at some point these days will be taken away from us–even if just for a small period of time (while she has treatment) it makes me really cherish these beautiful times that we have together. I hope your son is doing well! My daughter is 26 months old and also has DS. Her name is Tessa also 🙂 My baby girl had a VSD when she was born, but that has closed on it’s own. Our DS children are fighters. Stay strong for Tessa and your family, but make sure to take the time you need for yourself. My thoughts and prayers are with your beautiful daughter and your family. Thank you! So true…they are such fighters!! Thank you! No we have not looked in that direction yet, but will suggest we do so.